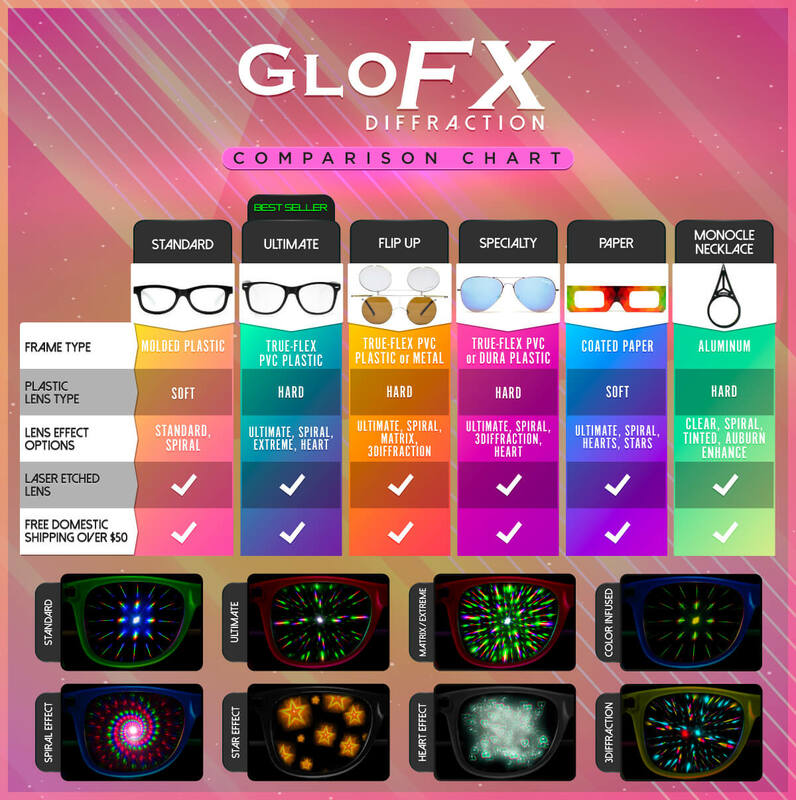 The supreme quality and effects of our Ultimate Diffraction Glasses are now available in a clip on lens! This durable and affordable set of diffraction lenses can clip onto nearly any sunglasses frame! Or snap them on your current diffraction glasses for an added punch of rainbow light diffraction! The hinges on this set are durable steel and built to last. Featuring a spring-loaded hinge, these flip up lenses provide crisp, clear diffraction, and remarkable craftsmanship. These lenses are perfect for prescription glasses, regular sunglasses, turning your single diffraction into double diffraction, or anything you can clip them onto! The gradient light diffraction effect of the Ultimate Diffraction Glasses is directly infused into the hard Plexi-Plastic lenses. This laser etching process makes for optimum light diffraction that presents a crisp, clean, and even effect from edge to edge. Try these glasses on and see three times the traditional light diffraction effect. All of the great lens features of our Ultimate Diffraction line are now available in an easy to use clip on lens! Great for raves or even just walking around at night on the streets. Makes everything so much more fun. Surprisingly strong and durable.